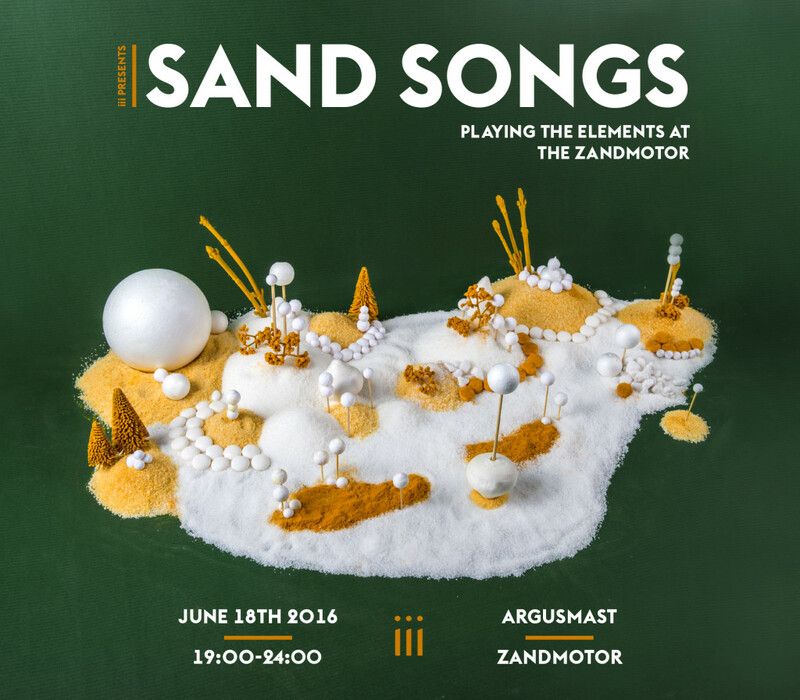 Participants of the SHAPE platform iii and TodaysArt, one of the platform’s founding members, are co-presenting Sand Songs, an interdisciplinary event on June 18th. For Sand Songs, a group of artists was invited to imagine this landscape as if it were a musical instrument, played by the natural elements and by human intervention. The artists developed performances and musical compositions especially for the landscape of the Zandmotor. In a series of short and longer interventions, they make use of sound, light, the wind, water flow and the sand in new and inventive ways. Flying a kite becomes a new way to make electronic music; home made pulse jet motors generate a composition on the scale of a landscape; there are kinetic wind and light sculptures; a soundwalk guides you along as you walk blindfolded, and you can take part in a musical treasure hunt, searching for sounding objects buried in the sand.